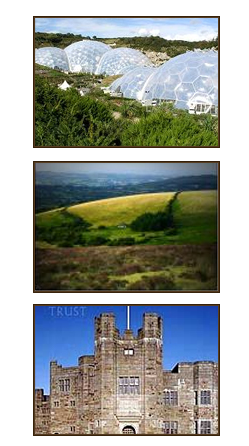 • The market town of Chagford with a large range of restaurants, cafes and pubs is 4 miles away. • Exeter, historic cathedral city – 20 minutes. Shopping, cinemas, theatres etc. • Eden Project – 1 hour. • We are just 5 minutes from the A30 which takes you quickly into Cornwall for all major visitor centres and beaches. Visit Ground Up Cookery School – A cookery school focusing on seasonal and forage food. Located opposite Oinkers Farm Shop (on Drakes farm in Crockernwell). Enjoy their fabulous range of products and courses while you stay at Gooseford Farm Bed and Breakfast. Why not spend a week seeing Dartmoor with your horse from two locations? Stay with us near Throwleigh and see all what our moors have to offer, then ride to Widecombe and explore the moor from Langworthy Farm? Click the link to see what Langworthy Farm has to offer. We have parking for your lorry or trailer at Gooseford Farm while you are away.